A federal judge in California has issued a temporary restraining order against President Trump’s order barring asylum for immigrants entering the country from Mexico outside of a designated port of entry. 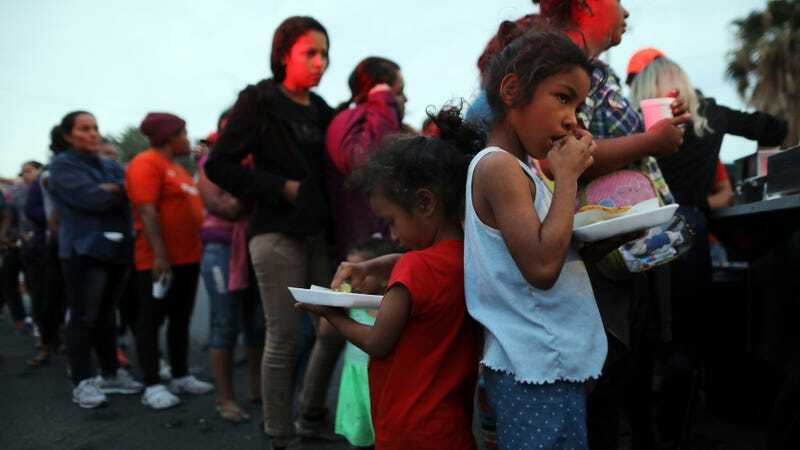 Judge Jon Tigar decided Monday that the policy “irreconcilably conflicts with” the Immigration and Nationality Act, which holds that anyone in the U.S. can apply for asylum regardless of where they arrived, Buzzfeed reports. “Whatever the scope of the President’s authority, he may not rewrite the immigration laws to impose a condition that Congress has expressly forbidden,” Tigar said in the ruling. The administration issued the order on November 9 in anticipation of the caravan of migrants heading toward the border, an issue Trump used to stoke racist panic among Republican voters throughout the midterm elections. Though Tigar’s block will expire in a month, Lee Gelernt, an lawyer with the American Civil Liberties Union, told the Washington Post that Trump is overstepping his authority in trying to issue such an expansive blanket ban on immigrants. “Every day we are learning about individuals who are in serious danger, individuals who have very strong asylum claims who are not being allowed to apply for asylum,” he said. The issue will be reopened in federal court on December 19. Is the Trump Administration Suppressing the Immigrant Vote?